Another fun trick is to find the total number of factors any number has. To do this, take the prime factorization of the number, add 1 to each of the exponents of the prime factor, and multiply these new numbers together. Problems to ponder: answers and solutions below. 1. What is the smallest number with 5 factors? 2. What is the smallest number with 6 factors? 3. What is the smallest number with 12 factors? 4. How many factors does any prime number have? so either 25 or 22 * 3 so the answer is 12. 5. 6 Any even number multiples another integer will give you another even number. To get only even factors, you need to always leave the smallest even number, which is 2, with all the other factors. 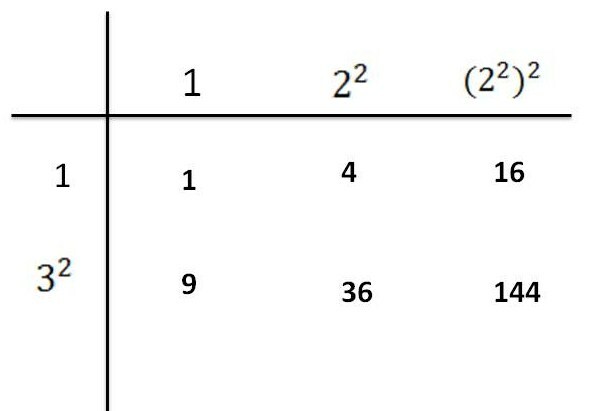 To get only square factors, you need to keep the smallest square number of all the prime numbers, leave out the others that are not square and find how many factors that new arrangement has. 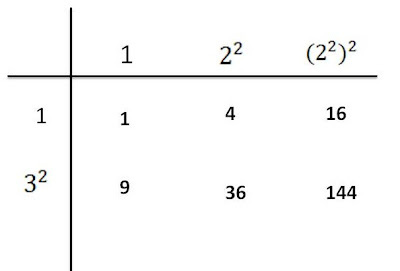 ( 22)2 * (32)1 There are (2 + 1) ( 1 + 1)= 6 square factors. See what they are on the left.